Your single-source supplier of Industrial Strapping Tools and Parts since 1976. If by chance some parts are not immediately available, we have a system in place to have these parts available by next day. We at Strapping Tool Help pride ourselves on many aspects of our business; from our low-prices to our high integrity. However, we consider customer service to be our top priority. When you buy a tool from Strapping Tool Help you are buying a partner in business. From our friendly customer service representatives to our expert service technicians, we know how to take care of our customers. Since 1976 Strapping Tool Help has aligned itself with high-quality vendors to provide the most reliable equipment at the lowest cost to you. 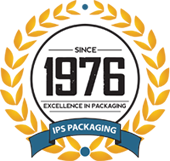 With well-respected partners like Fromm, Columbia, Zebra, 3M, Arpack, Infopack, Titan, Lantech, Wulftec, Samuals, ZRtool, and Orgapack, we can keep your business running as well as possible. With tools and parts from Josef Kihlberg, Signode, MIP, Strapex, Zapack, Hartzo, Spenas, Cyklop, and Teknika, we at Strapping Tool Help have put ourselves in the perfect position to assist you with all of your strapping tool and part needs. We've worked with these companies, as well as other trusting companies such as Atro, Clamco, Aetna, Dekka, Cobra, Better Pack, Minipack, Phoenix, Polychem, Bestpack, and Acme. Strapping Tool Help is proud to be associated with vendors like these. After all, it is the companies such as Central Fasteners, Cousins, Yibco, Mul, Liberty, Gerrard, Rapz, and Mima that have helped make us who we are today! Strapping Tool Help carries hundreds of strapping tools and parts from the most respected manufacturers in the industry. We can provide you with poly strapping tools, polyester strapping tools, and steel strapping tools. We carry high-quality tensioning tools, strapping seals and strapping sealer machines, and a host of pneumatic tools for steel strapping. Our lines of strapping tools and parts can cover all of your strapping tool needs. With our extensive product line, skilled technicians, and highly trained customer service and sales teams, we are highly convinced that your experience with Strapping Tool Help with be a great one! If any problems ever occur with your tools, we have highly trained technicians available 24 hours a day, 7 days a week. We can repair items at our shop or in your facility. Our service vans are completely stocked with parts needed to repair the equipment we sell. Strapping Tool Help will provide you will all the packaging solutions you need.